Paul: Oh crikey, what a week it’s been. 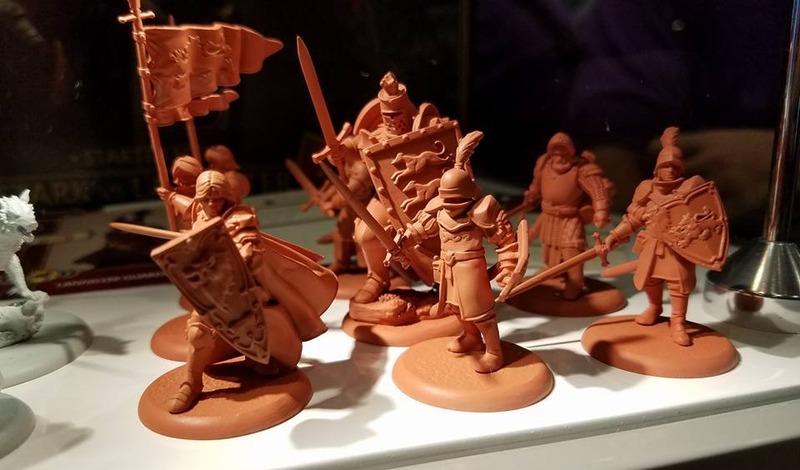 There’s been all sorts of news exploding out of GAMA, the Game Manufacturers Association trade show in Ohio, but probably the most significant of these was publisher CMON casually announcing that they’re kickstarting a tabletop miniatures game based on A Song of Ice & Fire. Yep, they’ve got a Game of Thrones wargame on the way. 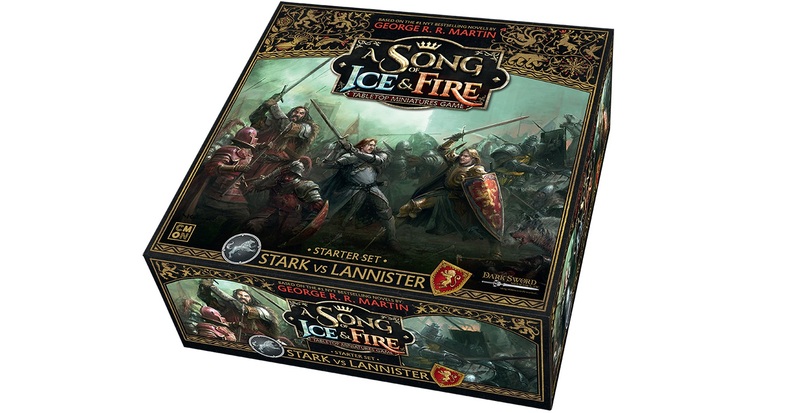 That’s quite the license to muscle in on and with the first box being a Stark vs. Lannister “Starter Set” there’s no doubt they have aspirations to grow this substantially. Quinns: I might have just read too many Game of Thrones books, but this announcement seemed undercut with an amount of… intrigue. Paul: What do you mean? MURDER? Quinns: Oh god, no! No-one’s murdering one another. It’s not really worse. I just would have thought that Fantasy Flight – publishers of the Game of Thrones board game, card game and other games – had exclusive publishing rights when it came to Game of Thrones. For CMON to come out with a big, exciting, Fantasy Flight-looking box is a big surprise. On top of that,the more I read about the design and structuring of the Ice and Fire miniatures game, the more similar it seems to the Runewars miniatures game that Fantasy Flight are coming out with this year. Intentionally or not, it feels like an aggressive move from CMON. I'm joining CMON as the director of game design next month. It's been a long time coming, and I'm glad to be able to talk about it now. Paul: Yes. Then they did the ol’ one-two, also announcing that they’re appointing Eric Lang as their Director of Game Design. In case you’re not aware, Lang is the freelance designer behind all sorts of great games, from Marvel Dice Masters to Dolores, as well as such Fantasy Flight games as Chaos in the Old World, XCOM: The Board Game and Star Wars: The Card Game. After working with CMON previously on titles including Blood Rage, Bloodborne and last week’s enormous Kickstarter success Rising Sun, Lang now is now the admiral who stands at the head of their fleet, setting its course as it surges forward. If we want to extend this analogy, Eric Lang is the single most beloved mercenary in the sun-dappled realm of board games, and now he’s pledged his allegiance to the duchy of CMON. Oof. Quinns: Yes! From an industry perspective this is all quite interesting because CMON are one of the few publishers who weren’t bought by Asmodee, and now they’re shaping up to be a fierce little competitor. Competition tends to be good for consumers, of course, but do you want to know the real reason I’m pleased? 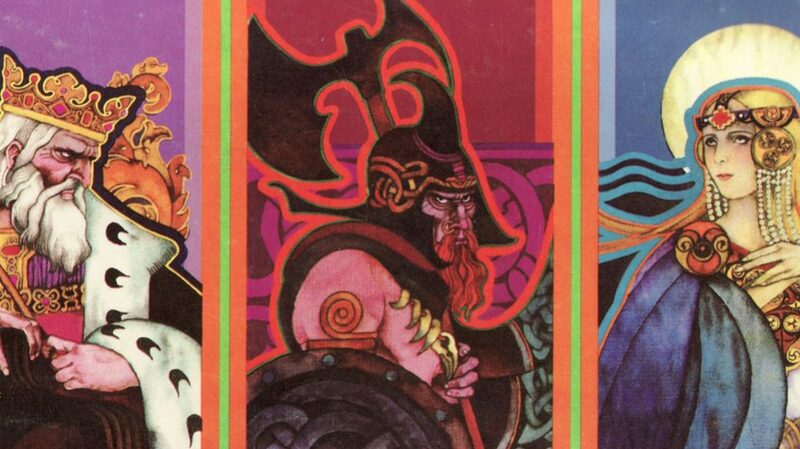 Quinns: I’ve always felt that so many of Eric Lang’s designs feel like they’re 95% of the way there, and I assumed that 5% was lost due to him being a freelancer who had to work on a dozen games with a dozen licenses each year to earn a living. Now we get to see what he can do working full time for a single publisher, spending more time on less projects. Will Eric Lang’s next games be stronger? Will he being unable to spread his wings from inside his gilded cage? Let’s find out! Paul: I thought he was a warrior. Quinns: He is a warrior bird. Paul: Right. In simpler good news, Mysterium is getting a second expansion! Mysterium: Secrets & Lies (shown in the above video from Board Game Geek News) will once again add more weapons, items and locations to this phenomenal game of occult dream interpretation, as well as giving the ghost player new visions to hand out. But wait! There’s more! Secrets & Lies will also contain 18 new “motive” cards that you can choose to play with instead of the “murder weapon” cards, so the ghost will now have to point you towards why they were killed. The publishers say that this is a good deal harder for everyone than picking out a weapon, so as well as offering variety this variant will be a way to make the game harder. The point is, if you love Mysterium, soon you’ll be able to have more Mysterium. Life is good to us sometimes, eh? Quinns: We’ve got a couple of cool Kickstarters to fling you at like a boomerang this week. Please come back! If you don’t this will be embarrassing for everyone involved. Restoration Games – who we published an interview with last year – has launched its first Kickstarter. Stop Thief! is now live, and already sauntering past some simple stretch goals. I have absolutely no knowledge of the original this game, but it looks like an appealingly tricky prospect. Players chase hidden thieves around the map, listening out for sounds and receiving private tips as to where they might be. The original game’s plastic “crime scanner” has been replaced by a much more flexible app, and the roll-and-move mechanics have been swapped out for a svelte card movement system. I really like what Restoration Games is doing here. 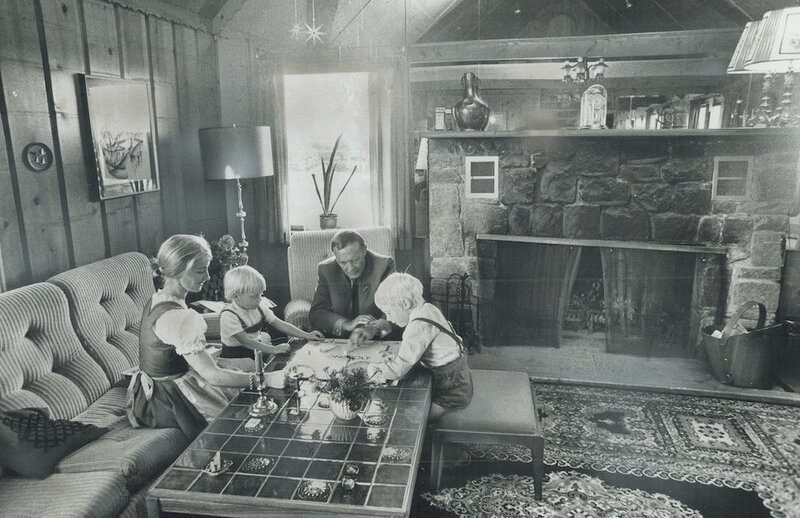 A healthy board game scene is all about the circulation of ideas, and this represents people taking the time to double-back and investigate old idea that have fallen by the side of the road, shoot them full of 21st century drugs and get them back in the race. Quinns: Until they fall over again, yes. It’s a bad race. Paul: Oh boy, remember that time when we did a live GenCon Billionaire Banshee event and you asked if I’d date a really clever lady whose favourite game was Fluxx? AND IT TURNED OUT I WOULD? Quinns: I just barely remember that, because the recording was lost! Only the 400 people who came to see us that day bore witness to our amazing live-action dating game. Paul: Well we’ll have to try again at a future podcast because now there’s a Kickstarter for a Billionaire Banshee expansion! As long as the Kickstarter is a success, of course. Which it really should be, considering how silly the video is, and anyone can pick up the base game as an add-on. Quinns: Oh my, I definitely want to see this Kickstarter succeed. Readers of SU&SD, hear my cry! I’m the happy owner of a lot of party games but none of them manage to be as funny, conversational and gentle as Billionaire Banshee. It’s a true gem. There’s no pressure to lie, or improvise, or win or to lose, there’s just getting to know your friends better and having a really good laugh. If you missed the first Kickstarter you should absolutely take a look at this one. We’ll close with a news story that is basically a Pandora’s Box of news. Be careful opening it and letting all the news out, for you will surely doom us all. 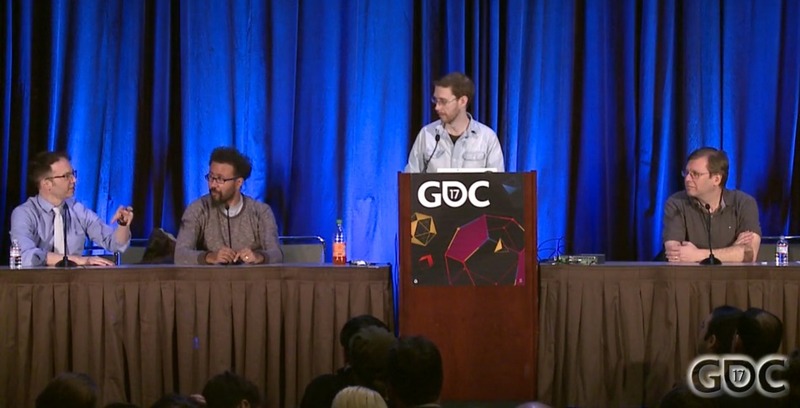 This year the prestigious Game Developers’ Conference held its first board game track, inviting all sorts of tabletop luminaries to give presentations. Those talks have all been posted online. All of them. Including a panel on the State and Future of Board Game Design hosted by none other than Paul Dean and featuring (topically) Eric Lang! Paul: Ooh, but don’t stop there! There’s also Tim Fowers’ talk about designing Burgle Bros., Rob Daviau on Pandemic Legacy or Riot Games’ Chris Cantrell talking about why his video game studio chose to create the year’s biggest (physically speaking) board game. Get stuck in, everybody! And why not share any choice wisdoms you find in the comments?